Need fire wood? The troop has cut and split wood either by the truck load or bundled together. 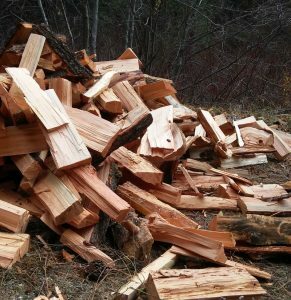 The wood is from the Idaho City area as part of a property management. The wood is cut and dried for a few years to be ready for selling. Delivery can be arranged for the Idaho City area and Treasure Valley. Boise troop 33 offers pine fat wood sticks as great fire starters. Burning hot for a long time, these sticks will help start a fire without chemicals or additives. Collected from the mountains surrounding McCall Idaho, these are not imported but recovered from lightening struck fallen trees. After years of storage, the wood is very dry; ready to start your fire. The fire is sold in bundles of approximate 5 lbs. at $5.00 each. We ship for free in the lower 48 states. Excellent for starting those warm campfires! Contact Brian Anderson for more information or to place an order.